Every Friday evening, poets and spoken word artists from around the world gather together to share and enjoy each other's work. With callers from a wide range of latitudes and longitudes, including the U.S., Australia, The Czech Republic, and India, World Poetry Open Mic offers a radio experience unlike any other and exposes the worldwide obsession with one of our oldest and most dearly held traditions: poetry. 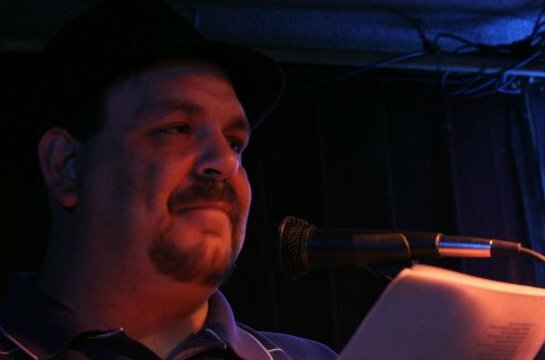 It all started when J Todd Underhill, a well known poet and former radio personality from Colorado, had the idea to expand the idea of a poetry open mic (which he had hosted all over Denver) to a medium where people from anywhere in the world could participate and have a recording to listen to afterwards. Underhill then approached Michael Amidei, who agreed to co-produce the show. Last, but certainly not least, JT Gunter was enlisted as Technical Producer. With both Amidei and Gunter co-hosting, World Poetry Open Mic began to connect poets from around the world on KZKO Radio, a subsidiary of MSE Radio Networks, based out of Lakewood, Colorado. Since then, the poetic community around the show has grown by leaps and bounds. Each week, listeners are treated to a unpredictable mixture of both first time callers and regulars, not to mention “send in poets” that email the show in order to have a host read their work. In March of 2014, WPOM left MSE Radio Networks in order to found an independent arts focused internet radio company, Art Radio Collective. The hosts now focus their time on building the community both on and off the air by connecting with poets and open mic hosts internationally. J Todd Underhill (Main Host / Creator) has been writing in the Denver Colorado area for over twenty five years. He has embraced poetics and spoken word art as his chosen art medium. He owned the title “Poet” in 2008 though his writing began far before that. J Todd has performed at many locations around the Denver Area including legendary haunts of Kerouac and Ginsberg like: Muddy’s, Mercury Café, Paris on the Platte, and Charlie Brown’s. J Todd has also worked as a radio host, wrestling announcer, racing announcer. The first anthology of works by Mr. Underhill Tome I: Genesis was published 07/07/2011. A second anthology Tome II: Tales from an Unquiet Mind was published 10/31/2011 both are available at www.lulu.com. 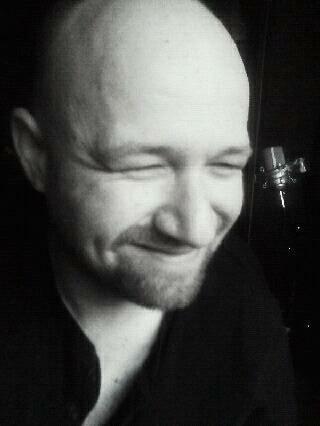 J Todd is in the progress of making two spoken word albums which are slated for release in 2013 and 2014, and his third anthology of works should be published soon. Michael Amidei (Co-Host / Producer) has been active in the entertainment industry since the age of 16, when he recorded and released “For Sinner's Only”, the debut album of the band Cable. Since then, he has gone on to perform for over 1 million people and appear on over 25 albums. His work has been featured on internationally charted recordings and collectively, these recordings have sold a collective 1.5 million copies worldwide. This journey has taken him from film production, to being a professional opera singer, to a western music star (along with The Flying W Wranglers). Michael is currently and entrepreneur and writer. He was inducted into the Western Music Hall Of Fame in 2009 along with the Flying W Wranglers. 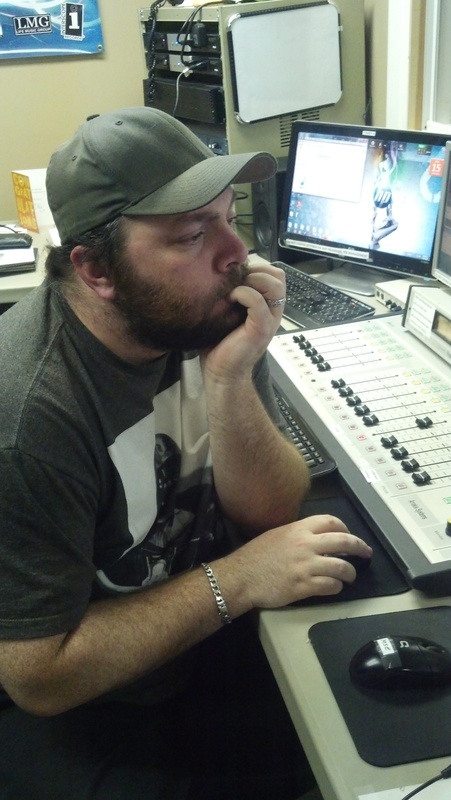 J. T. “Apeboy” Gunter (Co-Host / Technical Producer) got his start doing sound for the church he grew up going to helping his father Ivan Gunter not only do the sound for the church, but design and build the entire system. It was there that he gain the skills he would later use in the entertainment industry. In 1997 he got picked up to work sound for Western States Wrestling, from there he worked Multiple wrestling leagues including CWO, AWA, XTC, RMCW plus more. This is where the Apeboy sharpened his skills as a technical producer and technical manager. He honed his craft making it a fine art which the wrestling community has not seen since. During this time J. T. not only took an apprenticeship at KGNU in Boulder Colorado, but took it a second time; not because he did badly the first time but he thought he could learn more from the new teacher of the course. J.T. left professional wrestling in 2004, but his time in entertainment was not over, not only did he do sound for weddings and the like but he bought into the CFC football team The Colorado Cobras where he excelled as the facility manager. He often had to use his skills with the sound at each stadium location as well. In 2012 J.T. got tapped as the technical producer for World Poetry Open Mic. It was a fledgling radio project by Entrepreneur Michael Amidei and Poet J. Todd Underhill where people could call in from around the world and share their poetry. When they were building the show towards launch J.T. was brought up several times as they wanted the best technical producer in the business. Apeboy kindly accepted his offer as technical producer for World Poetry Open Mic, where he remains today. When/Where can I hear the show? Can anyone share their work on the air? Yes! With a few caveats. One, keep everything 1-3 mins and PG-13. Two, we can't guarantee that all callers will get through, but our callers are first priority at the show. Do I have to call in and read? Can someone read it for me? Absolutely. Before 6 pm (mtn) on the date of the show, go to www.WorldPoetryOpenMic.com and submit your work. Do I give up any ownership rights if I perform or have my work read on the show? Absolutely not. They remain entirely yours. However, you don't even have to read your own work. Call and share a poem or song lyrics that have meaning for you. This is about celebrating the poetic form and spoken word art!